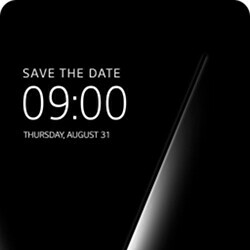 We already know that the LG V30 will be announced on August 31, just one day ahead of IFA 2017. Even so, the flagship is expected to be showcased at the trade fair along with Samsung's Galaxy Note 8, which is supposed to go official on August 23. There have been many reports talking about LG V30's specifications, but few are referring to the smartphone's availability in Europe. As some of your probably know by now, LG did not launch any V-series smartphones in Europe and preferred to bring its G lineup in the region instead. But that's not the case any longer, or at least that's what we believe. Former SamMobile editor-in-chief Faryaab Sheikh claims he's got it from trusted sources that LG is definitely bringing the V30 to Europe. In the same piece of news, he also confirmed the LG V30 will feature an OLED display, which comes in line with the previous reports claiming the same. Obviously, this means that the V30 will no longer pack a secondary screen like the V10 and V20. Technologically speaking, we will most likely have a pretty hot month of August, as many industry giants will reveal their most treasured products for the rest of the year. And those attending IFA 2017 will have the privilege of checking them out at the trade fair. Nice!! I'll definitely get it if LG's OLED matches Samsung's and if it will have a big battery (the G6's 5h SOT isn't doing it for me). An upgraded camera with a newer and bigger sensor is also needed. This!!! If they can bring the 2-year warranty that they had for the G6 on the V30, I will be extremely pleased and more confident about the purchase of the V30. It's my top 3 to purchase for the end of this year. HTC U11 took the 1st half for me. I need a phone with a removable battery feature. I hope LG V30 is the same as V20 in that sense. However, if not. What are some high spec phones with removable battery? I never owned a Device with an OLED Panel, too afraid to, the downsides of that Panel bothers me. :( I read a lot on my Phone. What will you do once God apple jumps to Oled? There's only one God, and it's not Apple or any of these OEMs. I may just have to stick with the remaining devices on the market that has LCD Panels. OLED is actually easier to the eye than LCD, especially when you read in the dark. Burn-in won't occur easily on a high end OLED panel. Come on. I highly disagree with your comment that "Burn-in won't occur easily on a high end OLED Panel". I'll just send you one Link that counters your argument. https://www.reddit.com/r/GalaxyS8/comments/686rol/bottom_row_burned_in_already/ Keep in mind the OP said he had the Galaxy S8 for just a week and the Burn-In already occurs, and he's not the only one in the Thread of that Link that experienced this. Samsung makes high end OLED Panels no doubt as well as LG, but their S8 still have this repetitive issue, and that's due to the Organic Materials use to manufacture OLED. As long as that "O" in OLED is there, this problem will never die. My interest for the LG V30 dropped significantly after a strong possibly of it having this flawed Display Technology (that LG should've kept on their Televisions due to a longer life expectancy and constant changing of scenes.) I've seen and used Phones with OLED Panels (I just never personally owned one to call my own), they're beautiful, but their Life Expectancy on Smartphones is very poor compared to LCDs. How is adjusting to the norm by today's standard 'game changer'? People didn't buy LG phones without the Oled, they won't do it after. So Oled doesn't allow for a secondary display? I'm a little bit confused as to why there's gonna be none on the V30. A little help anybody please? Because they will use OLED as always-on display to replace ticker one. I think V30 will still have functionality of old ticker display for sure but not in the form of ticker anymore. My S6 + has screen burn, hopefully they can sort this out in the coming years! Having pretty bad "image retention" issues on my V20 [similar to burn in]. Never had this on my V10 or any prior LG flagships. Hope their new OLED tech resolves this. Also why wouldn't the V30 b/c of its OLED screen mean that it would not include the secondary ticker screen ? G4, V10, G5 and V20 or basically Lg flagship with Quantum display all have that retention issue but you may not notice that because bootloop on G4&V10 happened before retention start to appear for some user. Owned 4 LG flagships [G2, G3, V10 & V20]. So glad I never experienced the boot loop issues on any of them. Guess I was lucky. Some peoples' LG flagships experienced more than the boot loop, my brother's V10 bricked twice.